Our planet is slowly getting flooded with plastic – the durable, easy-to-use and cheap material that is deeply attached to our daily lives. From being used to make medical equipment to becoming parts of airplanes, has surely proven its efficiency and adaptability. However, plastic, especially items designed for single use is a growing problem in our landfills and oceans. Every plastic bottle, disposable grocery bag or the small, thin straw that you use has a chance of jumping out of the recycling cycle and into a nearby waterway and eventually making its way to the ocean. Why is plastic harmful to the environment? 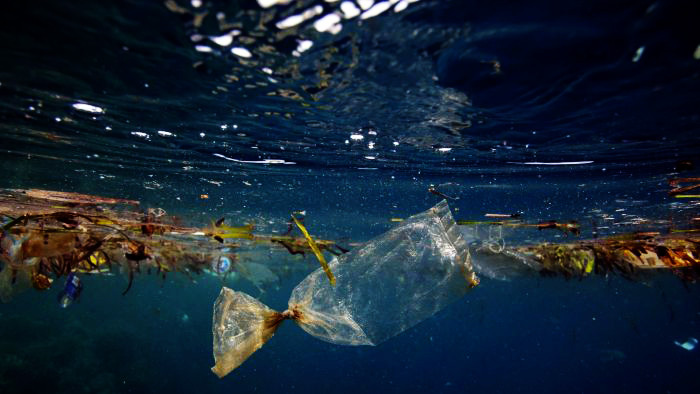 Researches have pointed out that nearly 12.7 million tons of plastic are dumped into the ocean every year. Plastic is spreaded widely in our oceans, especially in the Pacific, Atlantic and Indian Oceans. The plastic that used to make plastic bags and milk jugs are different to the plastic used to make bottle caps and straws – typical plastic wastes that are found floating in our oceans. Big pieces of plastic are broken into small, hard cubes, which can be eaten by marine animals. Plastic straws alone, take up to 200 years to degrade, but will never be fully off the Earth, as plastics are not biodegradable. Yet this small, slender tube can do so much harm to seabirds, turtles and other marine creatures as it can be easily picked up and swallowed, suffocating and choking the animal. The F&B business in general, and PJ’s coffee, in particular, consume an astounding amount of plastic products every day. Acknowledging the negative impact of plastic products on the environment and to develop our vision in environmental responsibility, we at PJ’s Coffee Vietnam want to join and raise the awareness for reducing plastic items such as plastic cups, straws or bags. To spread the act of replacing disposable plastic products in everyday use, at the same time introducing and distributing alternatives to these, PJ’s Coffee Vietnam is pleased to launch the campaign “CHANGE FOR SUSTAINABLE LIVING” – a long-term plan to reduce plastic consumption in the business. Step-by-step, PJ’s Coffee intends to remove plastic items and replace them with environmentally friendly materials such as paper, bamboo or reusable materials such as metals and alloys. We believe that every action, no matter how big or small, can lead to significant changes for a greener, cleaner planet Earth.